M027000 – 1M Microbore hose with 1/4 BSPPF connections (~414 Bar WP). Highly flexible, durable, Polyester/Kevlar integral weave microbore hose, complete with 1/4 BSPPF conical connections, for metal-to-metal seals with mating cones. 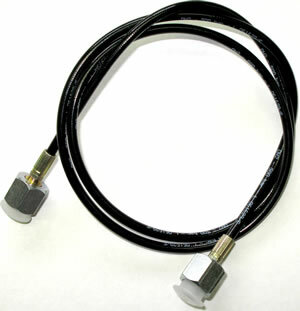 M027001 – 1M hose with double wire for extra durablity. 1/4 BSPPF conical connections, for metal-to-metal seals with mating cones. M027005 – 1M Stainless Steel braided hose. O2 cleaned with 1/4 BSPPF conical connections, for metal-to-metal seals with mating cones. M017730 – 1M hose with one right-angle 1/4 BSPPF conical connection and one straight, for metal-to-metal seals with mating cones.